Office 365 is the world's most popular cloud-based productivity suite. But while the product itself is intuitive and easy-to-use, a larger Office 365 migration can get very hairy, very fast. 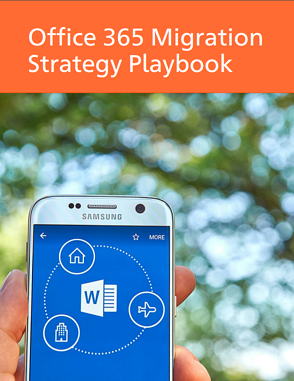 But don't worry — we've got you covered with this Office 365 Migration Strategy Playbook. Any enterprise-size IT transformation project is incredibly complex and difficult to manage. But an Office 365 migration project comes with its own set of additional issues, such as scheduling spiderwebs, mailbox dependencies and delegates, storage and file structures. This guide is intended for IT migration project/program managers who are looking for ways to accelerate their projects significantly. Download this valuable eBook today — simply fill out the form on the right and provide a valid work email address.